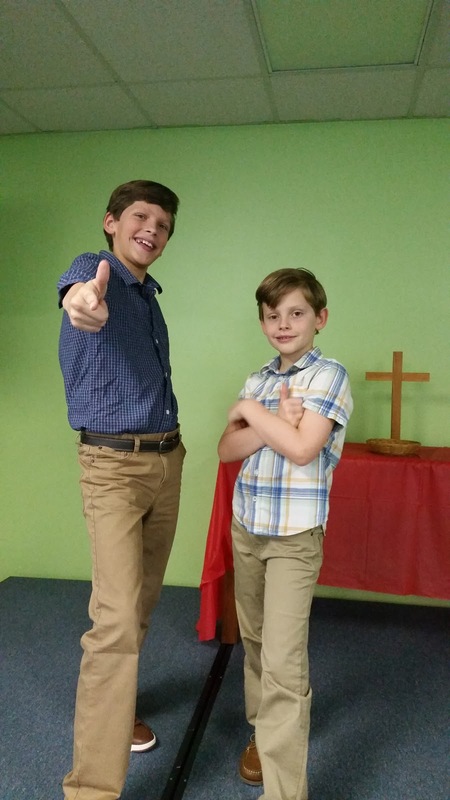 I love seeing the boys all dressed up for church. They are so handsome! 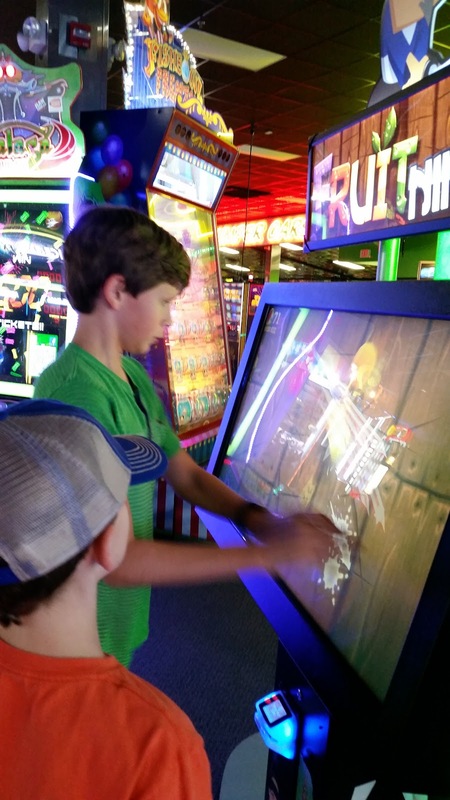 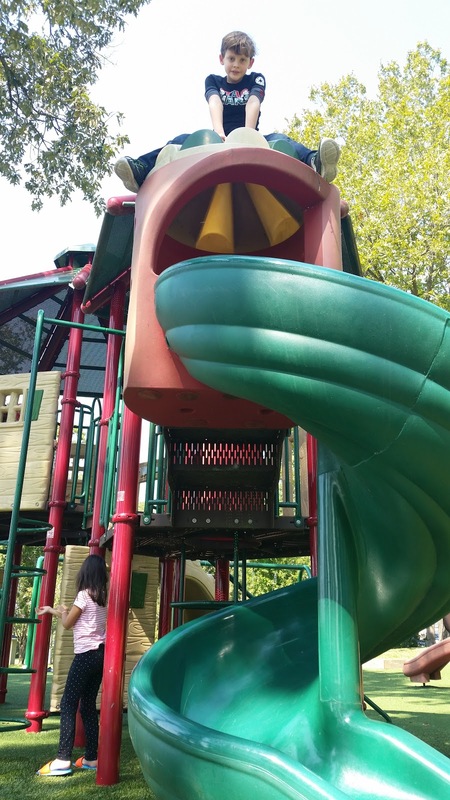 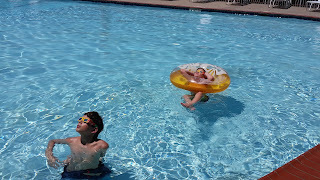 One of the best things about being homeschooled is the ability to go on fun outings during school hours. 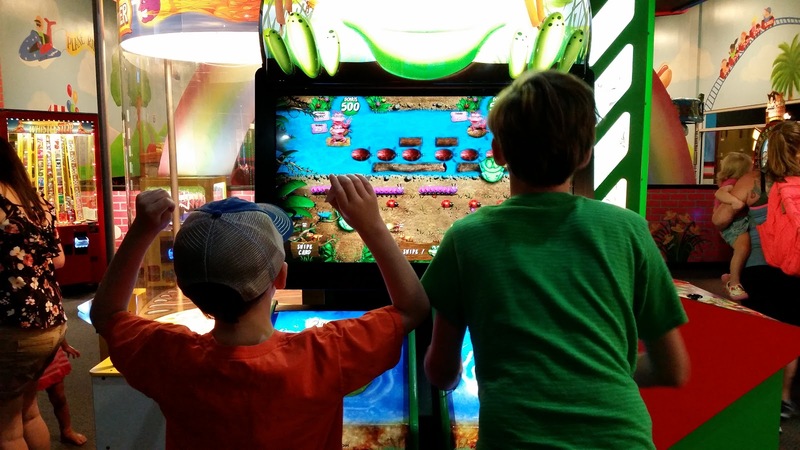 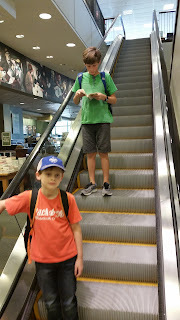 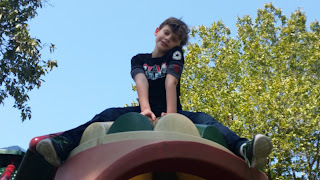 After doing some school work at home, the boys loaded up their backpacks with the rest of their school for the day, and we went down to Conroe and The Woodlands to run some errands, have lunch, and finish up school at Barnes & Noble. 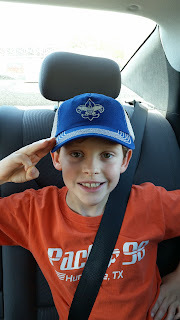 Brady found this cute $5 hat at the Scout Shop. Best part of the day - lunch at Incredible Pizza! And some game play while we were there, of course. 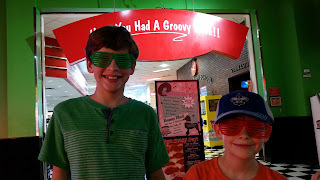 High hopes for big tickets. They each chose these silly glasses as a prize. 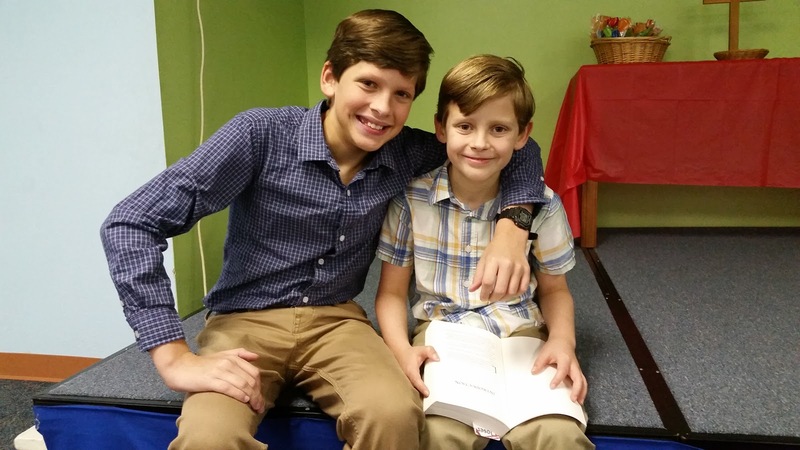 Dawson frequently has a book in his hands. Here, he kept reading even on the escalator. Lord of the Flies is enthralling! 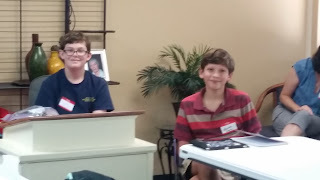 Dawson and Brady are fortunate to be in some excellent co-op classes at H2O this year. 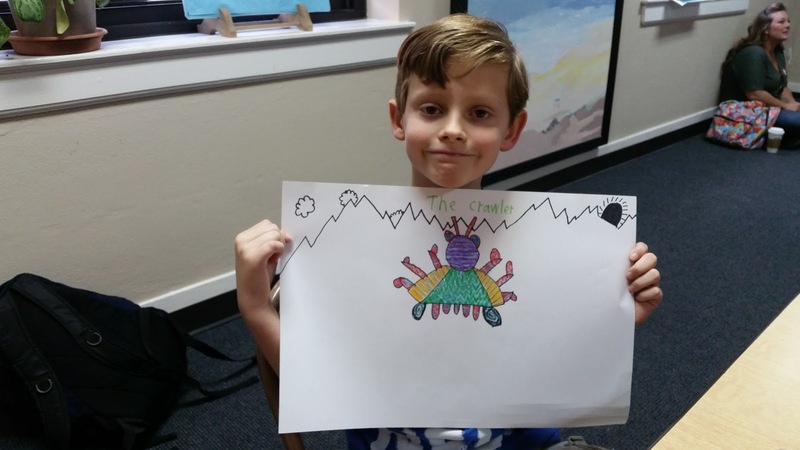 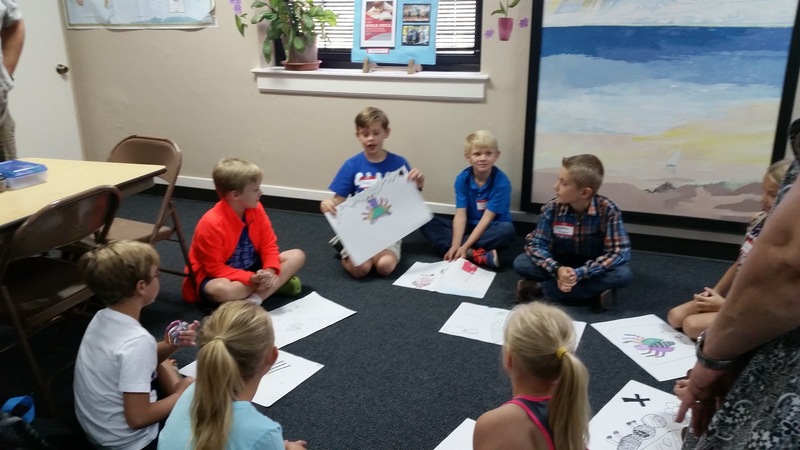 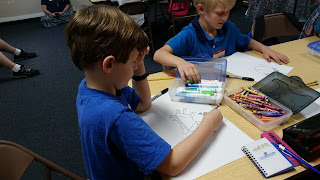 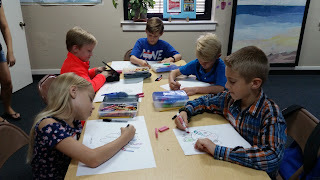 Brady's Art class: they designed their own bugs and then showed and told a little bit about them to the rest of the class. 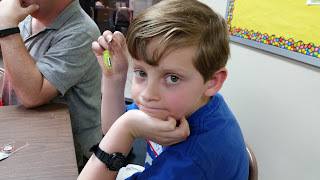 Brady's Robotics Class: the class he was most looking forward to; they made bristle bots from toothbrush heads. 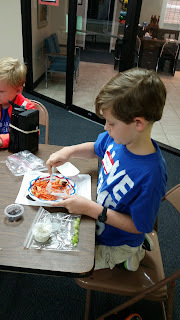 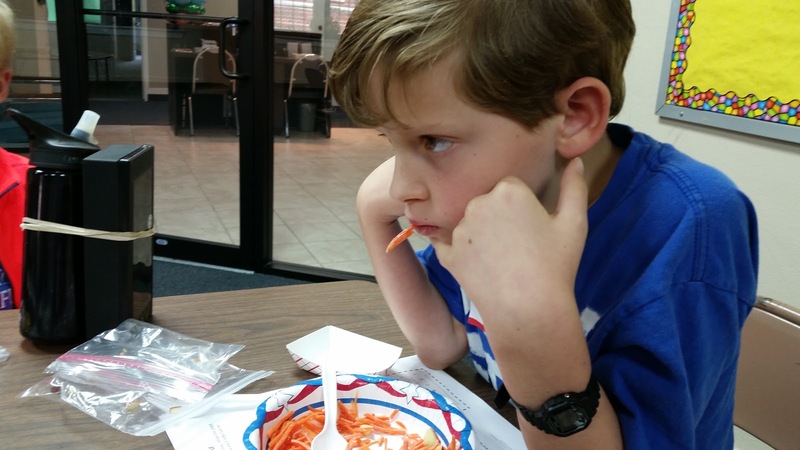 Brady's Eat, Grow, Go Class: they learned about the importance of their 5 senses when it comes to enjoying the food they eat, and then made a carrot-raisin salad. 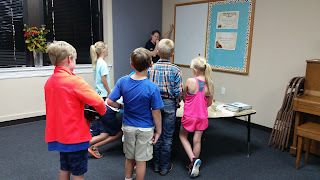 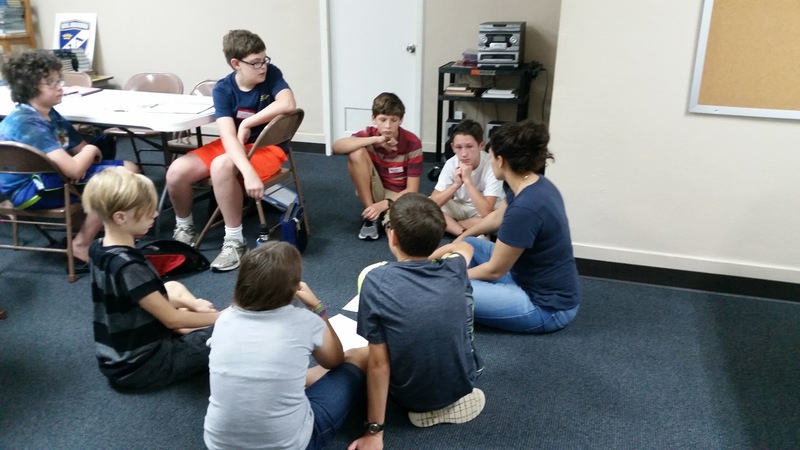 Dawson's Biology Class: this class is taught by honors students from SHSU and they did / always do a fantastic job! 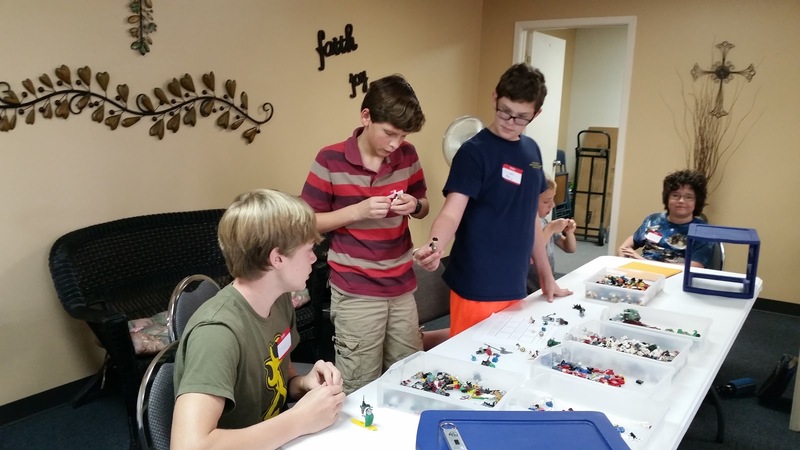 Stop Motion Movie Club: this is a just-for-fun club where Dawson and others will be creating Lego stop motion movies. Dawson and Ben going over the list of players, trying to decide on their next picks. 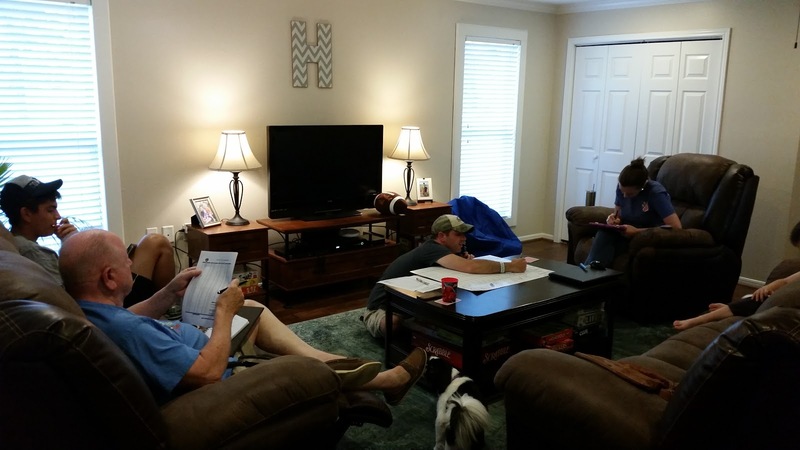 Where all the draft action was taking place. 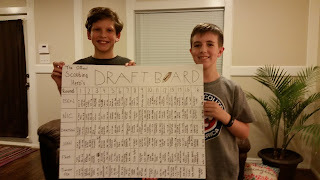 The final board. 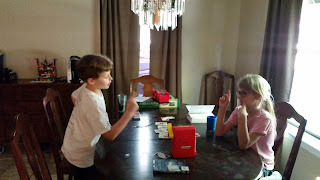 They were each really happy with their team, and are now ready to battle against each other and the rest of the Hendricks clan. Brady made a new friend at Camp Invention this summer and had been wanting to see her again. We were finally able to have her over to play one day. They played Legos, games, listened to music, and watched a couple of shows on Netflix. 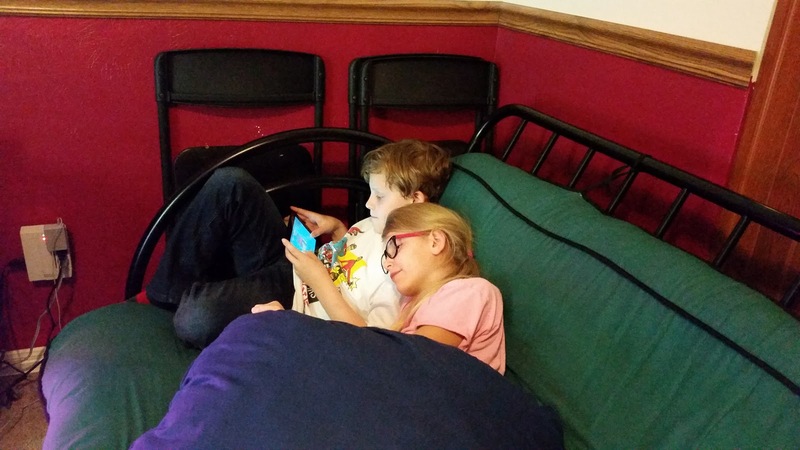 Samantha is a sweet girl and is very fond of Brady. 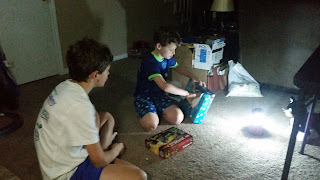 Sadly, Brady's birthday started with another day of no electricity (a consequence of Hurricane Harvey). 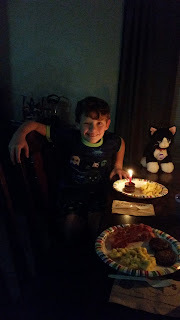 Thankfully, we have a gas stove so I could still make him a big birthday breakfast. And we had all of his presents wrapped and sitting out, which made for an exciting start to the day. He was so happy and positive and really enjoyed his birthday morning. 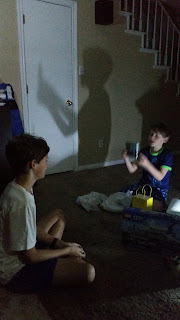 And around lunchtime he got an especially great birthday present - our power was restored!! 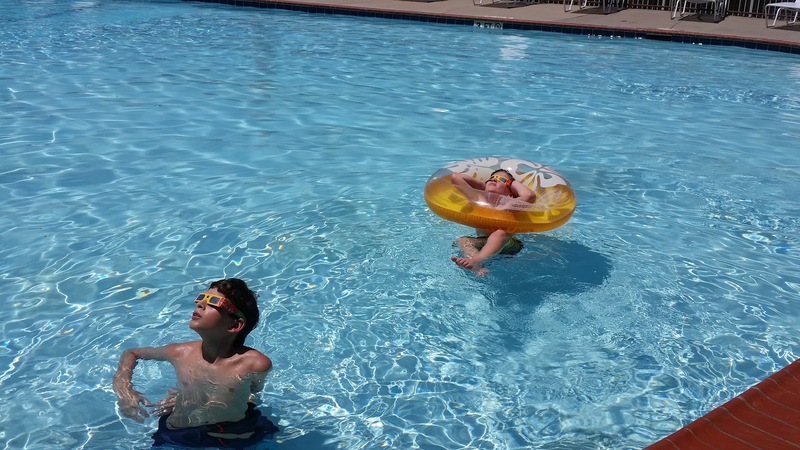 Brady's 9th birthday was memorable in many ways. Most of the big birthday breakfast Brady requested (just missing the biscuits that I couldn't bake without electricity). 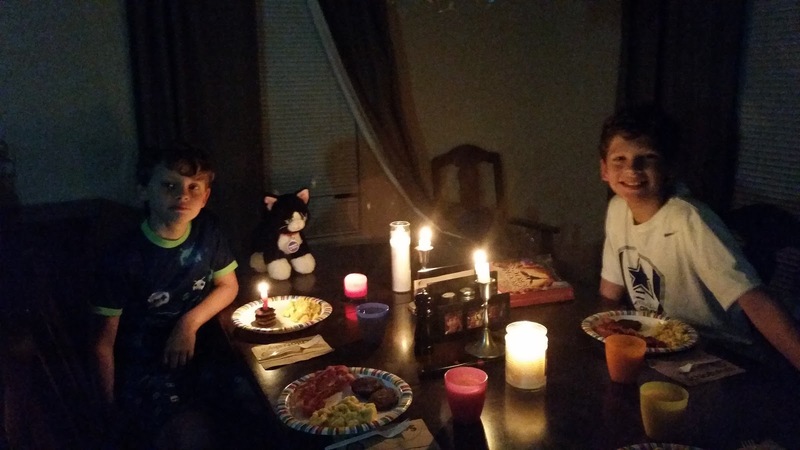 And a candlelight breakfast is a fun way to start a birthday. 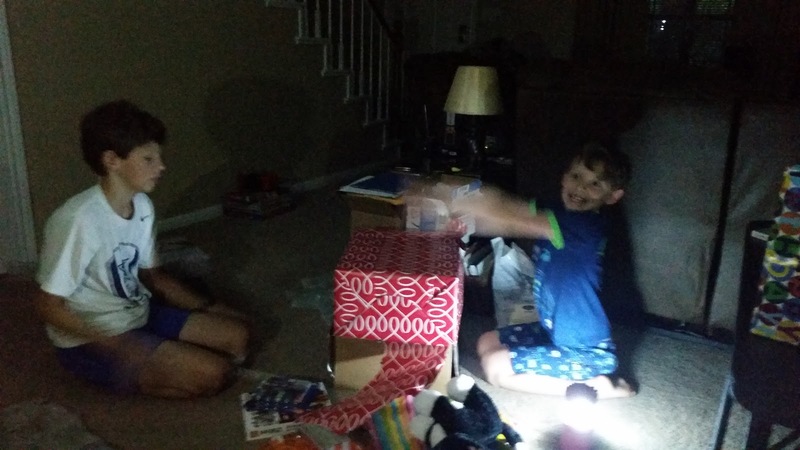 Opening presents by lantern light. 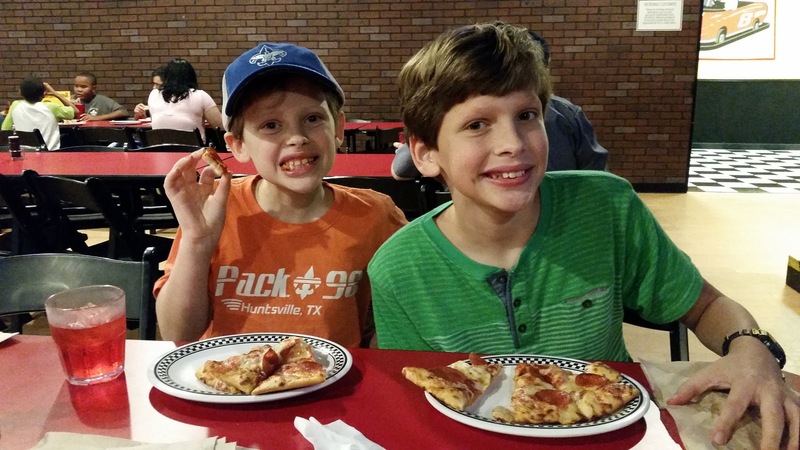 Such sweet brothers! 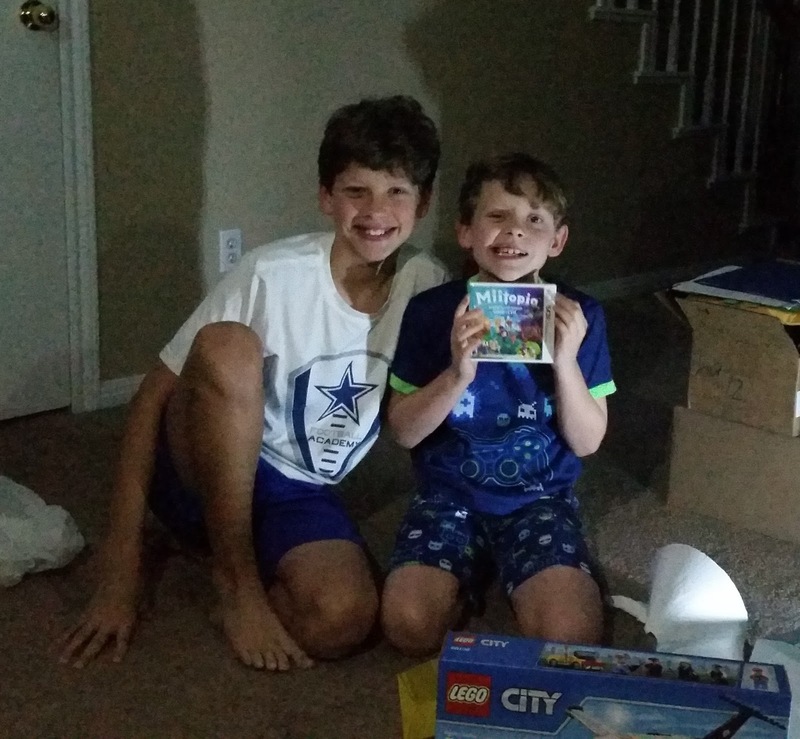 Dawson was excited and happy for Brady on his special day. 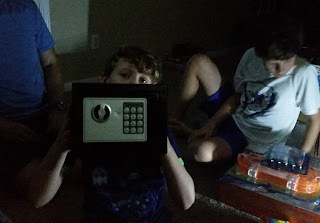 His very own safe. This is one of his favorite, most treasured gifts. At the end of the day, when Brady thought he had received all of his presents, we had this one last surprise for him - a beginner guitar, which he desperately wanted. 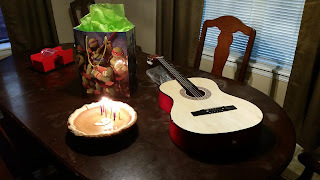 Now for the guitar lessons. 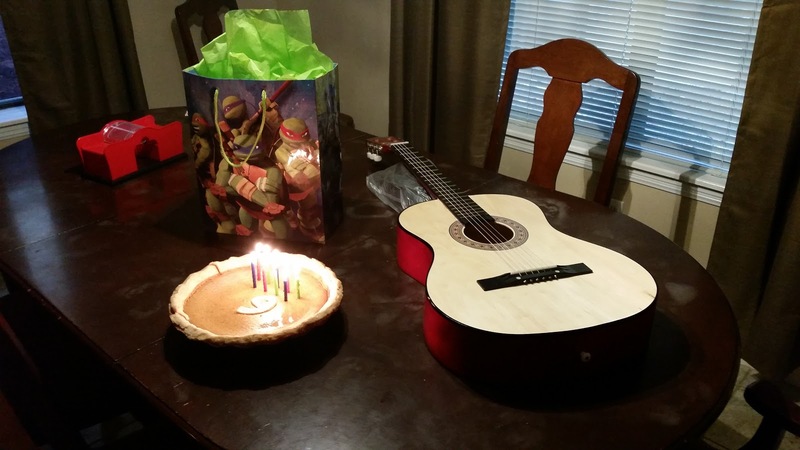 He also requested pumpkin pie, instead of cake, for his birthday. 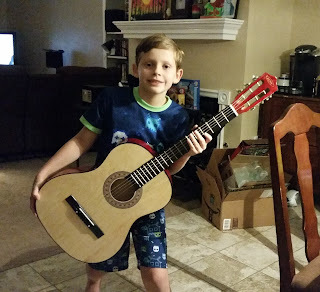 Lookin good with his new guitar! 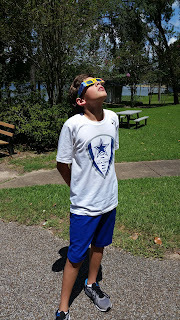 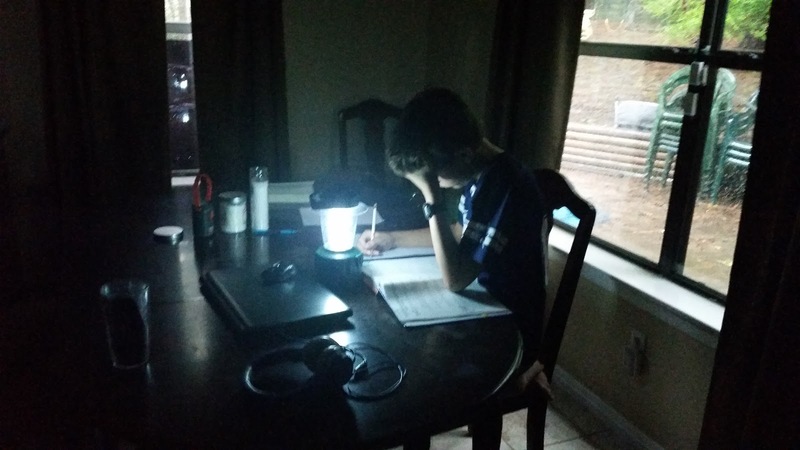 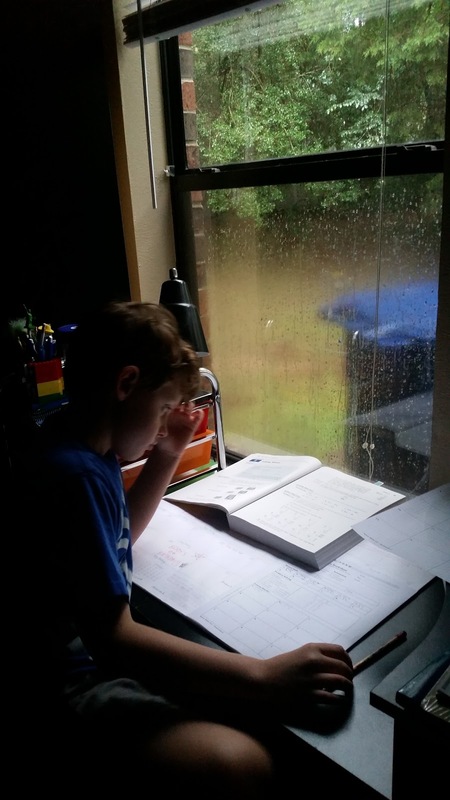 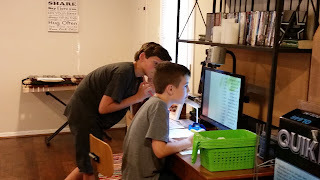 We lost power for a couple of days during Hurricane Harvey - but didn't let it deter us from doing school (much to the boys chagrin). 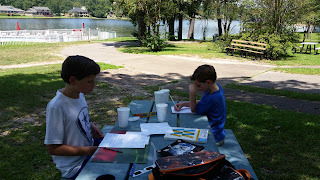 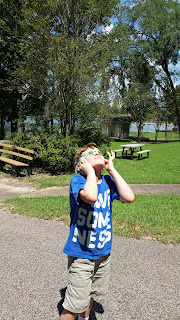 We'll take our days off from school when the weather is beautiful and we can go on fun trips and outings.